Tap into the power of Strongbox wherever you are. Strongbox are thrilled to announce the launch of their remote access solution – the unmatched performance and stability of Strongbox wherever you are and without the onerous costs. In recent years Virtual Desktop Infrastructure (VDI) technology has matured and many users are realising the benefits of centralised data, added security and the freedom, efficiency and costs benefits of remote access. However, in communications with clients, we came across some sticking points which – naturally – we got to work on. Remote Desktops suffer from two major flaws – latency, which leads to insufferable keyboard and mouse lag and network bandwidth requirements. Strongbox’s R&D over the last year has worked on this and now resolved the issue of perceptible lag. The solution is our DX-SRB-Titan, which supports 7 users with 88 deployable cores, giving true desktop working without latency, lag or loss of performance. Currently, you have to pay license fees for the server management, the remote access and the management software. These are recurring fees and can run into thousands of pounds per user per year – forever. With Strongbox Virtual Studio there are no recurring fees. To Learn More About Strongbox Virtual Studio! We have built a groundbreaking all-in-one-Strongbox solution with all the convenience and performance you expect, but without recurring licensing fees. It is also ideal for hot desk scenarios – power users have access to the desktop in any office from their own device. This is a one-off purchase of the machine, with installation plus an annual fee for hardware support for the server only. We partner with Exponential-e, so can offer a direct line for WAN remote access or individual users can log in from their home or office broadband (2Mbs minimum needed). Is it any wonder that businesses keep searching for ways to reduce the need for IT to maintain fleets of complex, component-heavy PCs when there are ways to offload and centralise so much of their maintenance and expense? Traditional desktop infrastructure, while by no means dead, grows increasingly less appealing for environments in which local processing is unnecessary. Virtualisation has become the new frontier, and Desktop as a Service (DaaS) is gaining ground in this space. Virtual Studio offers DaaS and virtual desktop infrastructure (VDI) in a hybrid Virtual Computing Environment (VCE) hosted by Strongbox, based on a monthly subscription free model. Strongbox utilises multi-tenancy architecture, which means that a single instance of an application is served to multiple users, referred to as “tenants.” The service provider is responsible for managing the cloud, the underlying infrastructure, and the level of service can vary depending on company needs. Some companies may wish to have more control over their own security, for example. The end result of this infrastructure is that users can access their data and applications from nearly any device, anywhere. It also provides increased data security, easier platform migration, improved disaster recovery, and new desktop provisioning in minutes instead of hours. Strongbox also has the ability to help alleviate compliance issues and yield cost reductions for many organisations. Which Types Of Organisations Are Right For Strongbox Virtual Studio? Strongbox Virtual Studios are typically best for small and medium-sized businesses (SMBs). It makes perfect sense for companies on the smaller end of the spectrum which require quality IT services, but lack the need and finances for a full-time systems administrator. With an average entry-level cost of about £35 per user per month, some companies will see significant savings, particularly in a bring your own device (BYOD) scenario. Citrix recently released the results of a survey answered by over 700 of their service providers revealing that 70 percent of their customers had fewer than 100 users, and 40 percent (out of original 70%) had less than 50. The results also showed that 22 percent of respondents reported providing DaaS services to larger companies, some of which had more than 1,000 users. If the results of this survey are to be taken as a snapshot of the industry, it seems clear that SMBs are currently the main drivers of sales. Other types of businesses that can benefit from this technology include start–ups, businesses with seasonal employees or high turnover, or firms with a large number of remote users. Strongbox allows these types of businesses to easily scale up or scale down as needed. Another sector is cash-strapped companies running legacy operating systems like Windows XP. In order to avoid the immediate capital expenditure required to upgrade all of their PCs to run a current OS, they can serve Windows 7, 8 or 10 from the cloud on their XP machines. Potential candidates can also include any organisation, that has a need to free up resources to focus on their core competencies. There are only a couple of differences between DaaS and traditional VDI solutions. The main difference is that, with DaaS, IT departments don’t have to worry about managing the virtual infrastructure, as this is handled by the service provider. Infrastructure in this context can include the network, servers, user desktops, and hosted applications. Further savings can be realised in organisations that accommodate BYOD (bring your own device), including laptops and tablets. Traditionally, most organisations have only grudgingly embraced BYOD due to security concerns. However, with DaaS, company data is no longer stored on the users’ devices, and is thereby not subject to viruses, theft, or other security issues. All data interaction is done on the remote, secured cloud infrastructure. The local device is only a window onto the remote experience. Ultimately, the difference between the two solutions is a financial one. DaaS allows some companies to streamline their infrastructure and reduce the expenditures associated with equipment and IT staff in exchange for a predictable “per user/per month” pricing model. It’s not that different from leasing a car instead of buying one for example. Over the years, the growing availability of computing power and internet speeds at reasonable prices have made technologies such as DaaS finally viable. There is a huge demand for these services and DaaS is here to stay for one simple reason. Servers and desktops have and always will have a symbiotic relationship. As servers moved to the cloud, desktops were sure to follow. This is why the Enterprise fought so hard to get VDI to work, because their ‘private cloud’ demanded it. But VDI doesn’t have the performance of DaaS. All servers will live in the cloud, private clouds will disappear, and the rise of DaaS will be the inevitable result. For now, and for the right organisations, DaaS provides a useful solution that potentially brings greater flexibility, ease of administration, and reduced costs. One of the biggest concerns for prospective customers is the issue of latency. With so many local service providers available around the world, and the prevalence of high-speed Internet, the issue of latency has largely been resolved. In fact, pixel painting protocols greatly reduce bandwidth needs by only replacing pixels on the screen that have changed resulting in super low bandwidth requirements. Built on an operating system designed to give you ultimate control over your storage also extends that benefit to all of your computing hardware and software. Traditional approaches to personal computing technology place limits on your hardware’s capabilities, forcing you to choose between a desktop, media player, or a server. With our Virtual Studio, we can deliver all of these capabilities, at the same time, and on the same system. What differentiates us from traditional solutions is our ability to scale in capability with that of your system. At the center of Virtual Studio is it’s capability to store and protect any type of data using a capacity-centric array. Unlike a traditional RAID, data in the array is stored on individual devices allowing you to control where your data lives. Data devices are protected by a dual Parity Disk. Should a device fail, simply replace it and Virtual Studio will rebuild the lost data automatically. To simplify management, Virtual Studio also allows for the creation of AFP, NFS, SMB and FTP User Shares, which can spread data written to them across multiple devices in the array, using policies you define. Protect an array of up to 24 devices and utilise 100% of their capacity. Mix and match devices of different sizes, speeds, brands and protocols in a single array. Utilise different file systems across individual devices in the array. Expand your array on-demand without having to re balance data. Prevent simultaneous multi-device failure from causing data loss on other devices. Only spin up drives actually in use, reducing power and heat and improving device longevity. To obtain faster write speed, HDDs or SSDs can be used to create a performance-centric Cache. The cache receives all write-operations as performed in real-time, but does so transparently. Data still appears under the appropriate share, and is automatically moved from the cache to the array at a time and frequency of your choosing. Data in the cache can also be protected by using more than one device to create a cache pool. Similar to the array, pooled devices can vary in speed, size, brand, and protocol and can be added at any time to increase your cache storage capacity. Traditional approaches to serving applications on a personal server have always had two major flaws: no universal management of application access controls (to network and data) and no method to install applications not written for the OS you’re using on the server. With Docker Containers on Virtual Machine, its easy to install and manage a variety of service-driven applications on your system. Thanks to our community of container authors, templates to install these applications are easily accessible through the web interface, reducing the time it takes to get an app up and running on your system. To increase application support even further, Virtual Machines remove the boundaries of Linux from Virtual Studio, allowing you to install any application you want, regardless of the operating system for which they were written. Virtual machines are ideal for technology professionals or developers that need a tunable operating system for their needs and for users that just want a familiar platform (e.g. Windows) in which to manage 3rd party applications. Want to run a desktop workstation directly on your NAS? Get all the benefits of virtualisation but with no sacrifice to user experience and consolidate hardware at the same time. With streaming technologies by NVIDIA, Moonlight, Razer, and Steam, you can. These use cases and many more are doable thanks to I/O virtualisation support on Virtual Studio. Individual PCI devices can be assigned to disparate VMs, allowing them to supply driver support independent of the host OS, and isolating them from one another. Write data faster with direct-attached storage speed. Leverage underutilised system resources to other common personal computing tasks. Create dedicated virtual appliances attached to physical hardware. Run non-Linux operating systems (e.g., Windows). Utilise driver support for physical devices independent of OS. Provide a means to consolidate hardware and save money. unRAID Server OS runs as a virtualisation host, leveraging a hypervisor to partition resources to virtualised guests in a secure and isolated manner. Virtual machines can be assigned a wider array of resources than Docker containers but still offer the same benefits of isolated access to those resources. This allows Virtual Studio servers to perform a variety of other tasks than just network-attached storage. 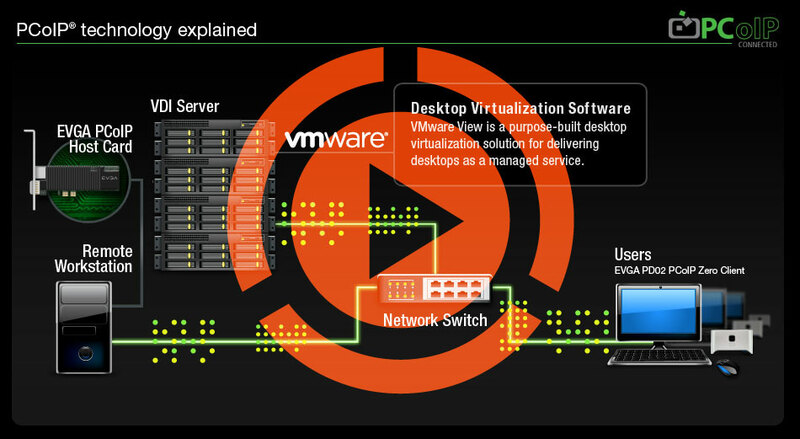 Traditional virtual machine implementations tend to focus on interacting with those VMs through remote graphics connections. While convenient, remote graphics just don’t yield the same user experience as a locally attached monitor, mouse and keyboard. Accelerated graphics are required to make sure media playback is smooth and 3D graphics quality is high. That’s where Virtual Studio truly stands apart in allowing you to utilise a GPU (graphics card) as well as locally attached input devices to directly interact with a VM, and completely blur the lines between virtual and physical machine user experiences. Our implementation of KVM includes modern versions of QEMU, libvirt, VFIO*, VirtIO, and VirtFS. We also support Open Virtual Machine Firmware (OVMF) which enables UEFI support for virtual machines (adding SecureBoot support as well as simplified GPU passthrough support). This allows for a wide array of resources to be assigned to virtual machines ranging from the basics (storage, compute, network, and memory) to the advanced (full PCI / USB devices). We can emulate multiple machine types (i440fx and Q35), support CPU pinning, optimise for SSDs, and much more. Best of all, these virtualisation technologies won’t impact the reliability of the host operating system.